Guitar Lessons: What is Travis Picking? 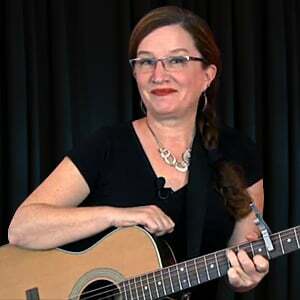 When it comes to acoustic fingerstyle guitar, one of the questions I get asked most frequently is, "what is Travis Picking?" In this lesson, we'll look at what styles of fingerpicking are considered to be "Travis Picking", and why. Named for guitarist Merle Travis, this style of fingerpicking features the thumb taking on a special role in the sequence of events. In Travis Picking, the thumb plays both a primary bass note, and a secondary note within a single measure. This creates a steady, rhythmic, bass-heavy backdrop against which the other, higher, notes are played with the index and middle fingers as they fill in melody, harmony, and rhythm. While it is theoretically possible to play the patterns in this series using three fingers and your thumb (with your thumb focusing solely on the bass note), you risk compromising the steady bouncing rhythm created by the thumb doing double duty. Three finger playing is not "wrong fingerpicking technique", but if the thumb isn't bouncing in there twice per measure, then it is not considered Travis Picking.